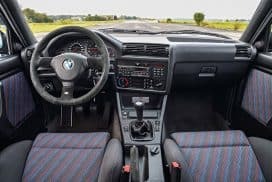 Removing an OEM BMW non airbag steering wheel is a great beginner project for new BMW owners. If you have a busted odometer and need to replace the gears you must remove the steering wheel to get access. Replacing a 4 spoke wheel with a Mtech wheel will require removal. 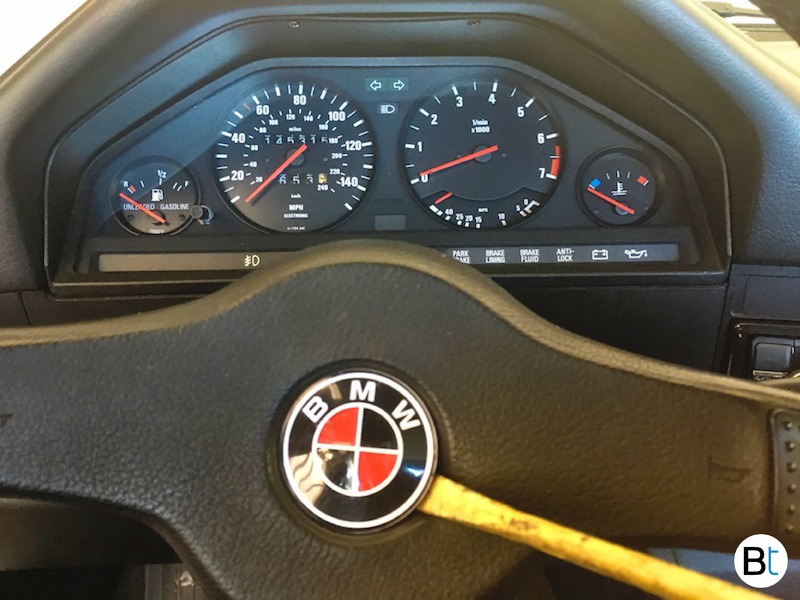 This demonstration is done on a E30 model. 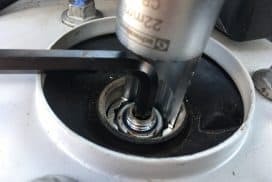 Older models such as E21’s, E9’s, E10’s etc will have a similar procedure but the steering wheel nut may vary in size and final torque. 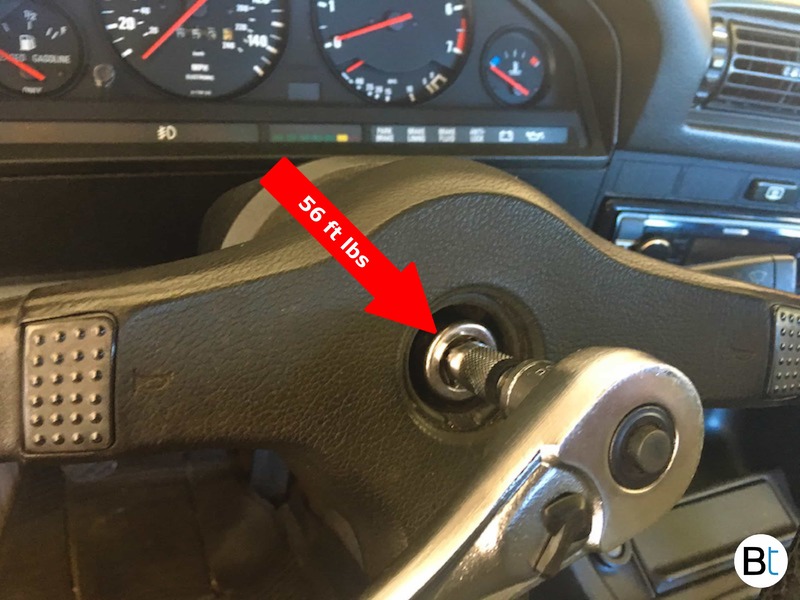 The first step is to have the key removed from the ignition and steering column locked. Having the steering wheel locked is critical when removing the nut later on or else your wheel will just spin. Make sure the wheel is centered and not cranked over to full lock. 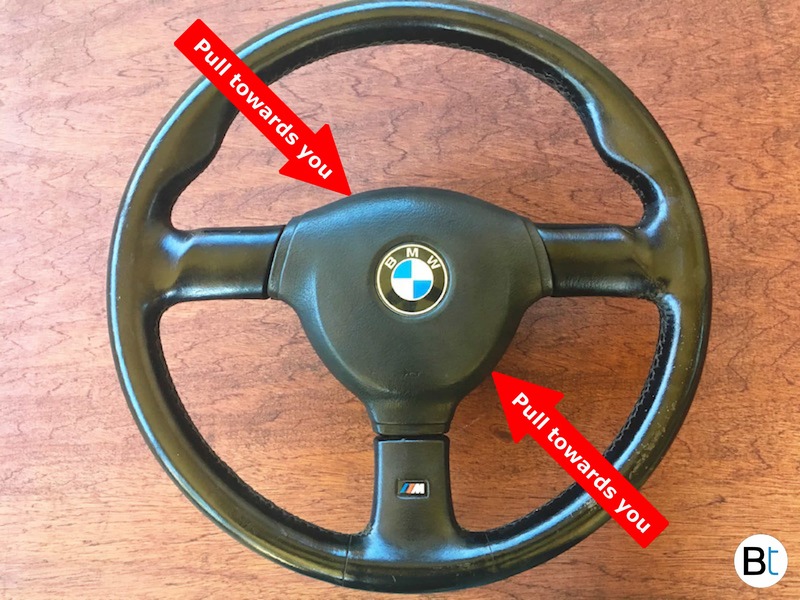 *** If you have a M-tech 2 wheel (which is non airbag), the roundel does not need to be removed. However, you do need to remove the center piece which is just held in place with some plastic clips. Gently grab the edges of the center piece and pull straight towards you. The wires for the horn will be attached to this piece and need to be slid off for the rest of the removal process. Please see images below for clarification. 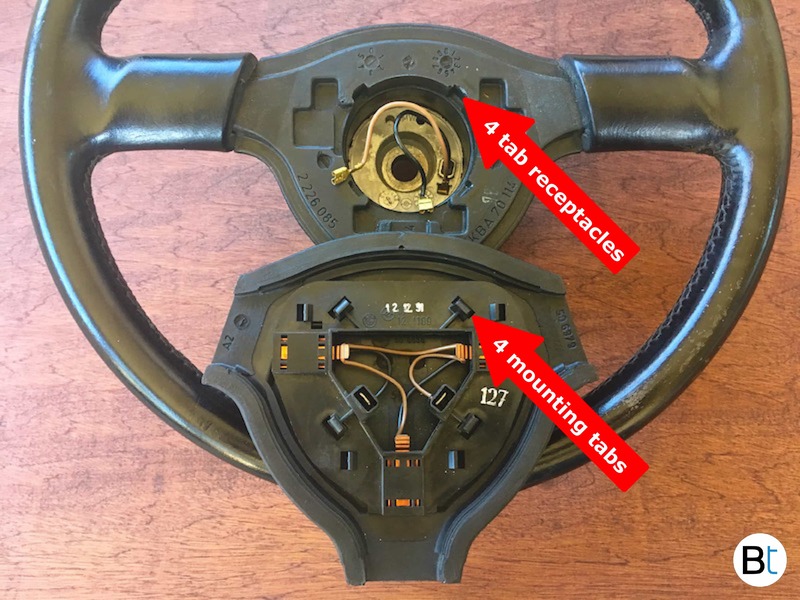 If you want to make a custom color steering wheel roundel like the one pictured in the images, please see our how to on this by clicking HERE. 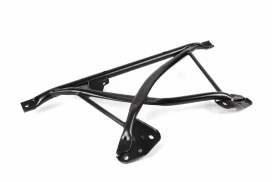 Make sure your turn signal and wiper stalks are in the neutral or off position. 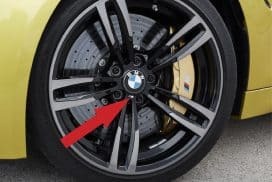 Once the wheel is locked take a flat head screw driver or small pry tool to get between the steering wheel roundel and the rubber wheel (see image below). 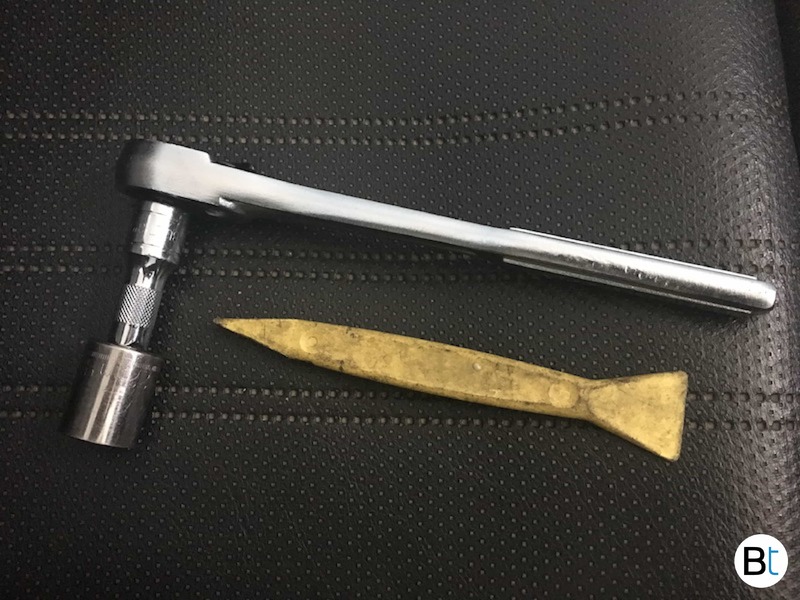 Any non metallic pry tool should do the trick but if you are using a flat head screw driver and are worried about scuffing your wheel, simply wrap the end in tape for protection. Get under the roundel with the pry tool and it will just pop out. Now that the center mounting nut is exposed, take a 22mm socket with your extension and remove the center nut. If your wheel is spinning and not loosening you forgot to remove the key from the ignition and lock the wheel. 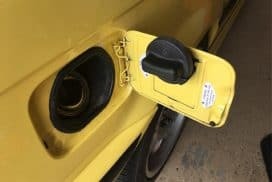 Once the nut is off, put the key back in the ignition and turn to the first click to unlock the steering column lock pin. 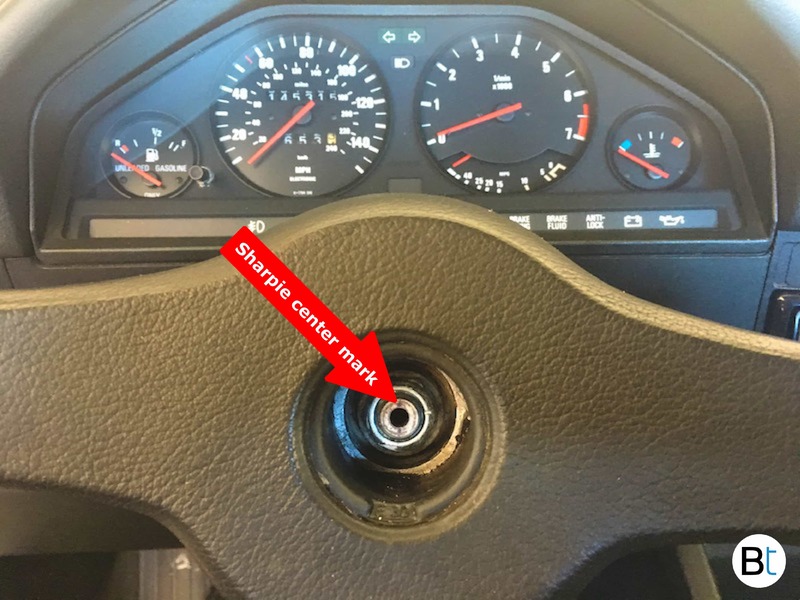 We recommend taking a sharpie and marking the steering column post and wheel to mark a center line. This will help you line up the wheel when reinstalling. (see image below). The wheel should now be free to pull towards you and completely remove from the column. To reinstall, follow the above instructions in the reverse order. Make sure to put the washer back on first before the nut. 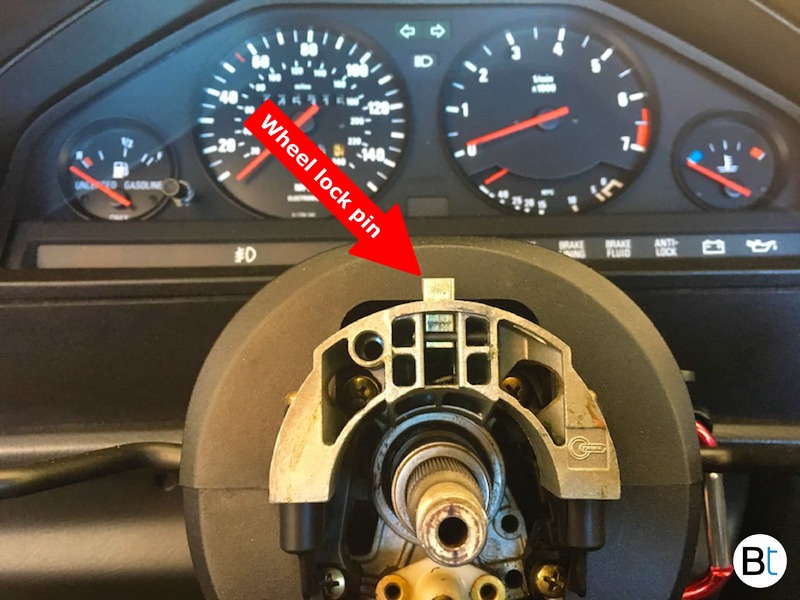 If after reinstallation your turn indicators do not return to neutral after turning, your indicators were not in neutral position prior to removal. To fix this issue center the wheel, remove it and reinstall with the turn indicators in neutral.